Beach Mist Conditioning Shampoo. .75 oz bottles, Case pack of 288 Popular beach theme amenity lends an attractive look. Perfect for&nbsp;environments such as seashores, lakes, and rivers. Pleasantly mild scent. 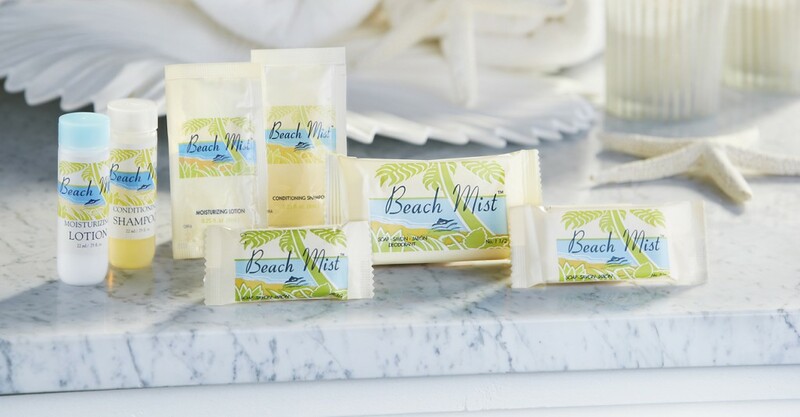 Beach Mist Hand &amp; Body Lotion. .75 oz bottles, Case pack of 288 Moisturizing hand and body lotion designed for the hospitality industry. Perfect for beach, lake and waterfront properties.